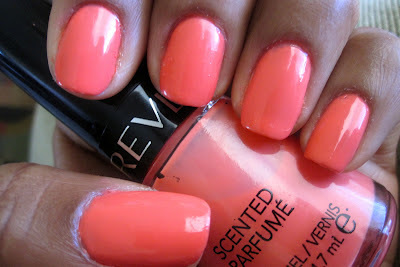 This week’s No-Chip Manicure features the 2nd flavor of my Revlon Scented Parfume purchase. It really does smells like mango. Last week, I tried the bubblegum and let me tell you that the scent was still on my nails by day 5. I’m super impressed! 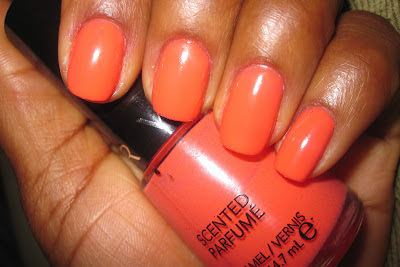 I love the boldness of this polish. It’s definitely a color you’d want to have in your spring collection!